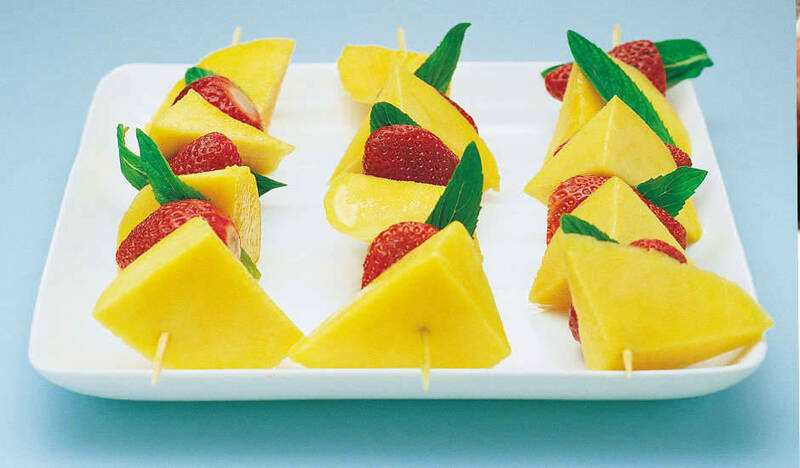 Thread the mango chunks, strawberries and mint onto skewers. Arrange onto serving plates and enjoy! Tip: Serve with vanilla ice cream or sorbet on the side.